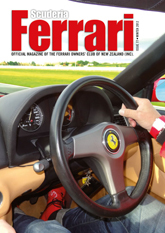 Scuderia Ferrari is the official magazine of the Ferrari Owners’ Club of New Zealand and features high quality colour photography and articles about the club, its members and Club events in NZ and around the world. 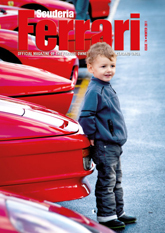 Looking back over the years the club’s magazine has moved from a skinny black-and-white newsletter style to become a sophisticated, highly professional publication, but one which still manages to reflect the club’s relaxed and fun-loving ethos. 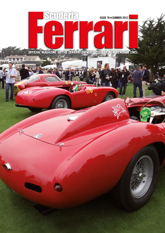 The quality of the content was similarly transformed from the ad hoc and amateur, to a well-crafted, tightly edited prose. 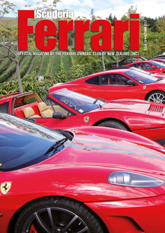 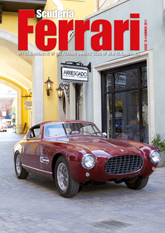 This state-of-the-art publication is a source of pride to the Club and a fitting tribute to the perfection that is Ferrari.